A few years ago I wrote a list about games on past Christmas whislists that didn’t make any sense. Games that were either not for me, or ended up being kind of bad and in no way should they have been on a kids Christmas wishlist. I debated doing a companion piece on this focusing on games I had on my lists for several years. These were games that, for some reason, in the span of 365 days I never managed to pick up myself. One such game (and likely the one to take the top spot if there were enough to justify an entire list) would have been the final Castlevania on the DS, Order of Ecclesia. After actually getting the game for Christmas a year ago (finally!) I’ve sat down and played the first couple hours. So far it’s brutal, it’s challenging, it’s engaging, and it’s all the things I love about Castlevania! I think I’m on a Castlevania binge because of the Netflix TV series that released earlier this month. If you haven’t seen it, and you consider yourself a Castlevania fan, you should definitely give it a watch. With only four 22 minute episodes, it’s a quick binge. 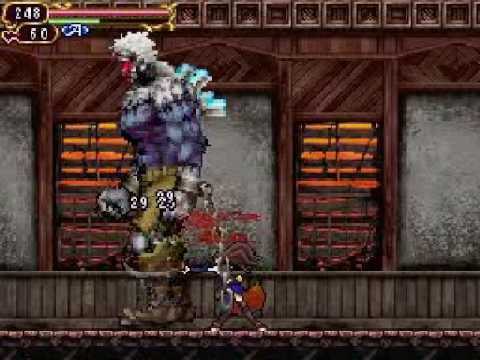 Television aside, Order of Ecclesia is a solid Castlevania game despite not having a member of the Belmont clan as the protagonist. 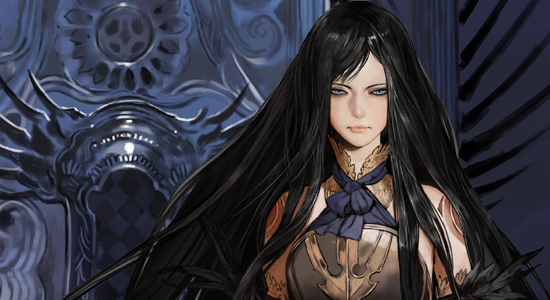 Instead you play as Shanoa, a member of the titular Order of Ecclesia. Those in the order are tasked with preventing the resurrection of Dracula in the wake of the missing Belmonts, and after a small coup and a healthy dose of amnesia, Shanoa is the chosen vessel to secure the power necessary to stop the vampire from returning. Even without the Belmont name the plot is kind of generic for a Castlevania. For example if you defeat an axe throwing Axe Armor enemy, you have a chance of gaining the axe glyph, which then allows you to use the series staple arching axe attack. There are other ways to get glyphs which are central to the plot, but no matter how you get them mixing and matching them to find the most effective combo to defeat bosses or progress through the world is definitely fun! I was getting a sense of the old GameBoy Advance Circle of the Moon‘s DSS system by combining two glyphs to create one unique “Item Crush” attack too! Lots of customization here, and a lot of ways to play through each zone. Speaking of zones, there isn’t one castle this time around, but instead there are several smaller zones to explore. You start of in a mansion, then move to a forest, then a waterway to a lighthouse, before climbing a mountain, and so on and so on. The lack of a central location is different for the series, but something I don’t think anyone will miss. The game plays the exact same way. 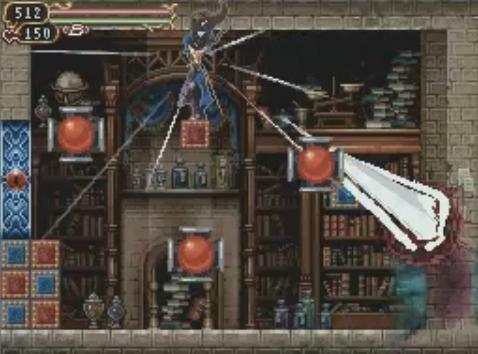 While some might scoff at a Castlevania game not featuring a castle (at least not yet), it does make sense from the plot to have Shanoa exploring other areas instead of just one. Order of Ecclesia also has plenty of NPCs to save and interact with. A village on the world map had all its inhabitants (and even their cats, apparently?) abducted. As Shanoa explores the surrounding areas she can encounter said villagers, free them, and then gain their aid by completing small tasks for them in the different zones. One man is a journalist and is looking for the next big scoop, so he asks you to photograph some strange enemies. With the camera he gives you, you have to actually get the creature on screen, pause your game, and then snap a photo. It’s a nice side quest to the action packed game, and makes me stop to think about where that next enemy might be. There are simpler quests like getting enough ore for the blacksmith to make more armor (which you can then buy from the merchant), but these tend to come more naturally and don’t require as much thought. Still though, it adds a nice dose of sideplot that is always welcome. Only being a dozen or so hours in it’s hard to fully judge the game, but from my limited experiences I can safely say the game is tough but fair. There will be several enemies or bosses that will just wreck you if you aren’t ready. Mostly these tough foes are strong against whichever glyphs you are currently using, causing you to swap them out with others. I really liked this setup because it made me use all the glyphs I wouldn’t otherwise use! Like I said before, experimenting on which glyphs work best for you and which create the coolest combinations is a lot of fun! Boss battles, a staple of the series, are in full bloom here. The handful I’ve done so far have all ended in a few failures before I figured out how to defeat them. Never did I feel like any of the bouts were unfair: when I died it was because I messed up, and nothing else. The original Castlevania was tough, but subsequent games, especially post-Symphony of the Night have this sort of hard-but-fair sense about them. It’s a good balance and entices me just enough to want to keep playing. And keep playing I shall. 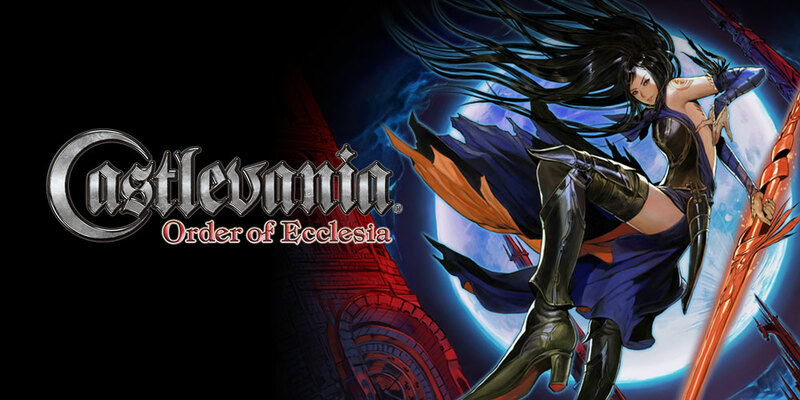 I have only heard wonderful things about Order of Ecclesia. Having played the previous two Nintendo DS Castlevania’s (Dawn of Sorrow and Portrait of Ruin (which is amazing, by the way!)) I felt like I owed it to myself to play this supposed best of the three. So far so good. I’m still not hooked on any of the musical tracks yet, something the entire series is well known for, but that’s a minor complaint to an otherwise solid start to a game. Which Castlevania game is your favorite? I know the console Lords of Shadow is often regarded as a great entry even though it’s a different timeline, but was that your favorite? Let me know!